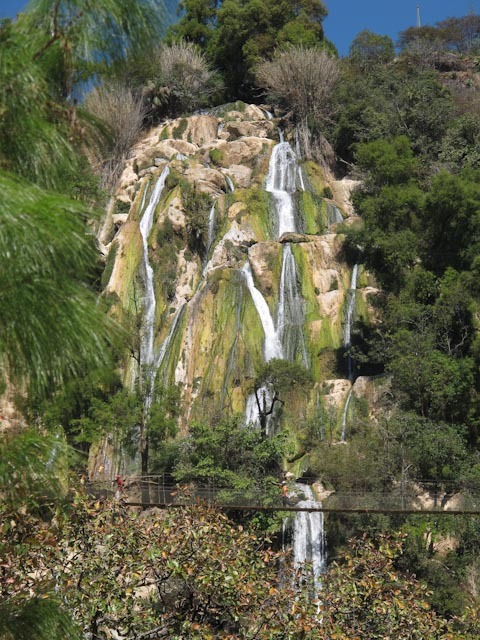 Tucked away in the mountains of Western Oaxaca, home of the Mixteca, is the hidden gem of Cascada La Esmeralda. The Rio La Esmeralda tumbles over a high ledge and ricochets its way over rocky outcrops as it plummets more than 100 meters (328 ft.)to the valley below. I recently spent the weekend with friends in the region of San Miguel el Grande, and the four of us and the dog packed into the front of their small Toyota pick-up and headed out to enjoy the day in this spectacular area near the town of Yosondúa. Imagine Cascada Esmeralda thundering down this rockface during the rainy season! Since this is the middle of the dry season, and it has rained little for several months, the volume of water rushing over the edge has greatly diminished. My friend and her dog relaxing poolside. On a hot day you might like a cool dip in the pool! 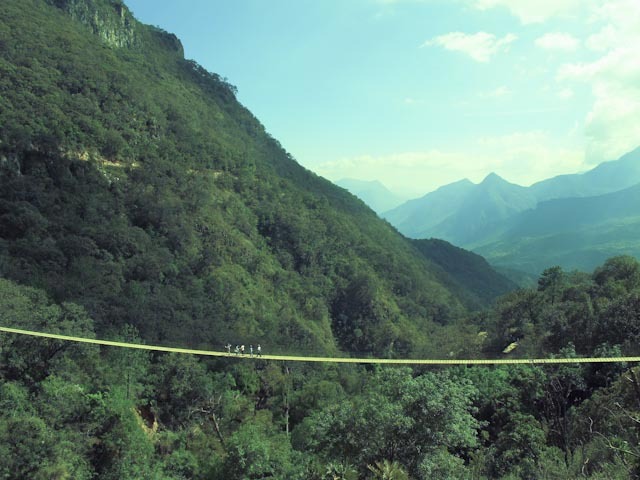 Crossing the footbridge, you will be awed with magnificent views of the cascade above, the valley below, and the mountains beyond. One zip line has been built below the bridge, and from our perfect vantage point on the bridge we watched this man listen to instructions and ZIP! We also watched another man who donned his helmet, asked many questions, and then chickened out! Maybe next year. Workers are completing the platforms for another zip line that has been installed high above the bridge. Maybe the second man decided to wait for the REAL challenge! The other side looks so far away! Preparing to zip across the ravine. Zipping high above the tree tops across the ravine takes less than a minute! Convenient stone walkways are being constructed through the forest although many paths crisscross the hillsides, and visitors are free to walk anywhere they want. There are no signs telling people what to do or not to do. So refreshing. During your descent you will pass two lovely eco-cabañas where you could spend a relaxing night after a day of hiking. New walkways make some areas more easily accessible. A waterbug skating across the surface of a quiet pool cast an ominous shadow! Tadpoles about 2 inches long whizzed among dried leaves and branches. 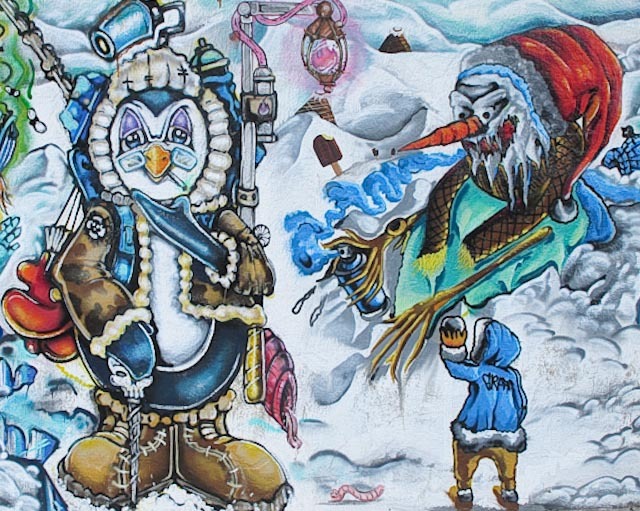 Back in the village of Victoria, where my friends live, the “Fiesta de la Virgen de la Candelaria y el Señor de los Milagros” was in full swing. We feasted on “fiesta food” (tacos, ice cream, fried bananas, cups of fresh fruit…) laughed as we watched the Luche Libre (Mexican variety of professional wrestling) and hung out to wait for the second WOW of the day – the castillos. It’s difficult to know the true height of these towers of fireworks, but our estimation in relation to nearby buildings and trees is that they must be at least 75 feet tall – maybe more. A castillo has to be one of the most wonderful of all things Mexican. Stunning fireworks awed the crowd between the lighting of each section, and of course all was accompanied by very loud music! I didn’t even try to photograph anymore; I just enjoyed the show. 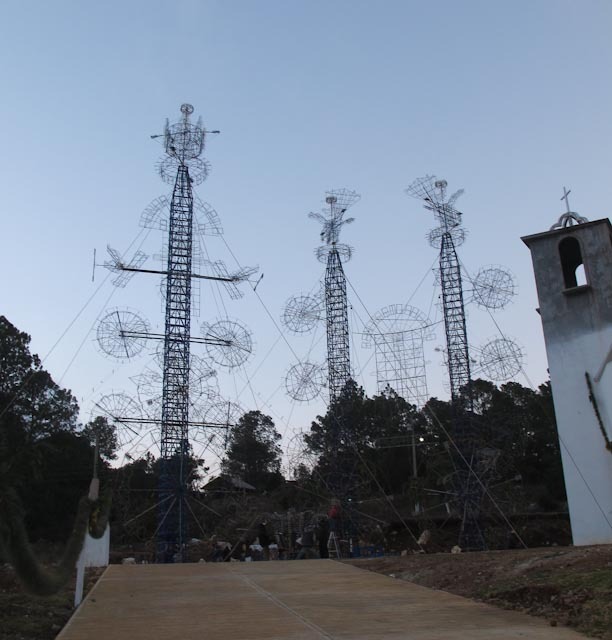 Looming above the church and the trees, three castillos are waiting to dazzle the crowd. The castillos are lit in sections, and the wheels spin, whistle, and fling sparks in every direction! 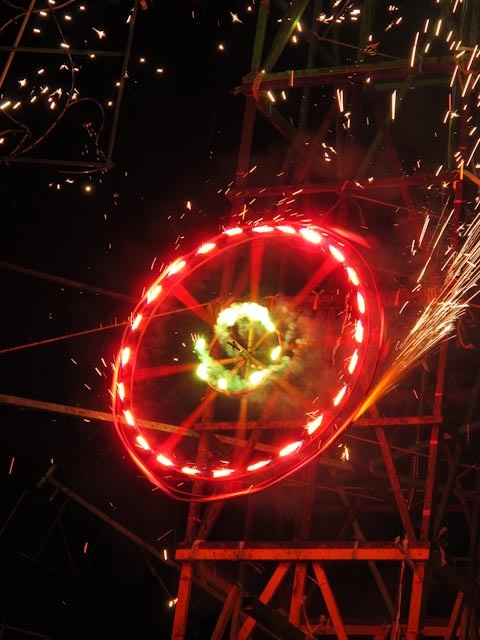 Bursting into colored flame, the bird and the wheel below it begin to rotate. Everyone cheers at the finale, as the small wheel on top spins off into the night sky. 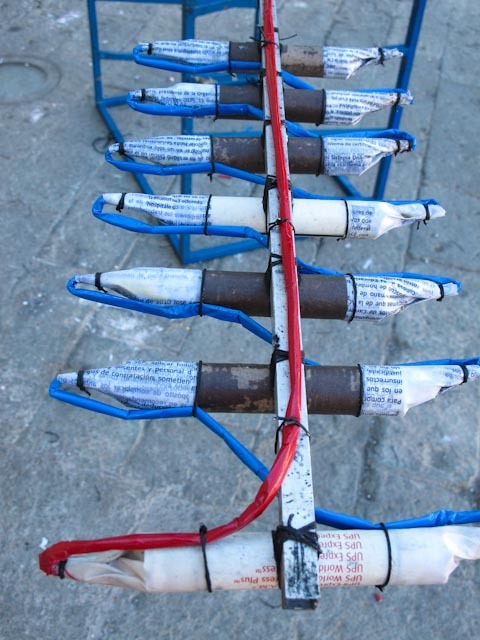 Are Mexican Fireworks Made in China? 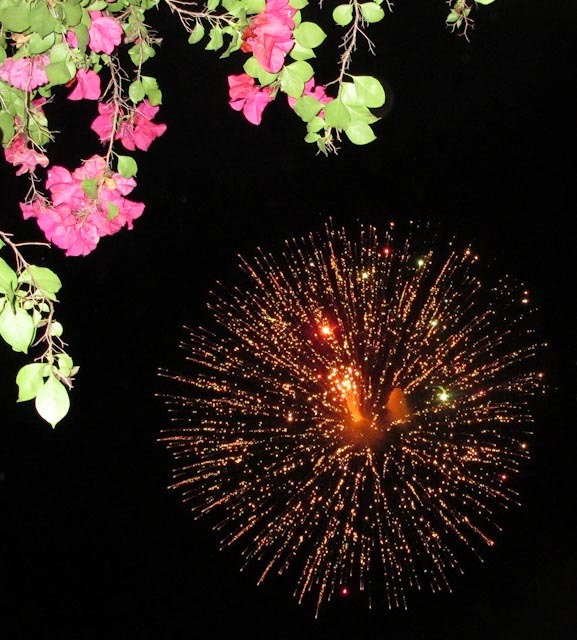 I have spent the month of December and the holiday season in various locations of Mexico, but never have I experienced the intensity of celebration as in Oaxaca, and of course every celebration calls for fireworks! 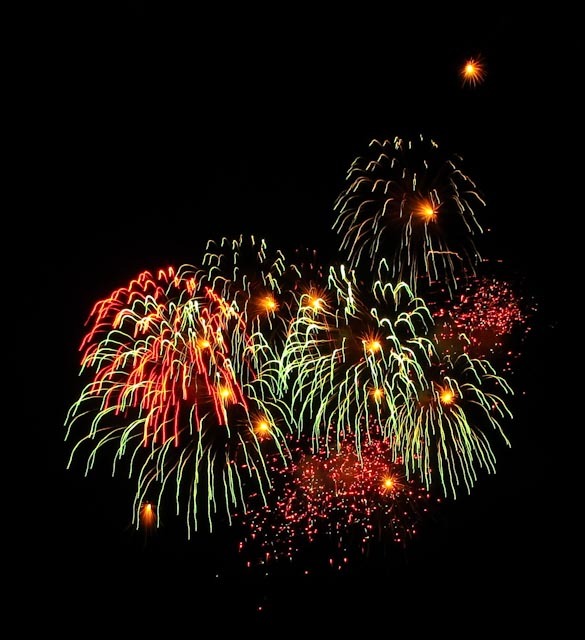 There is conflicting information on the names of different types of fireworks, (and it probably varies from region to region) so I will refer to the fireworks that are noise only as cohetes, those that bloom into brilliant colors in the sky as bombas, and the giant flare covered towers as castillos. 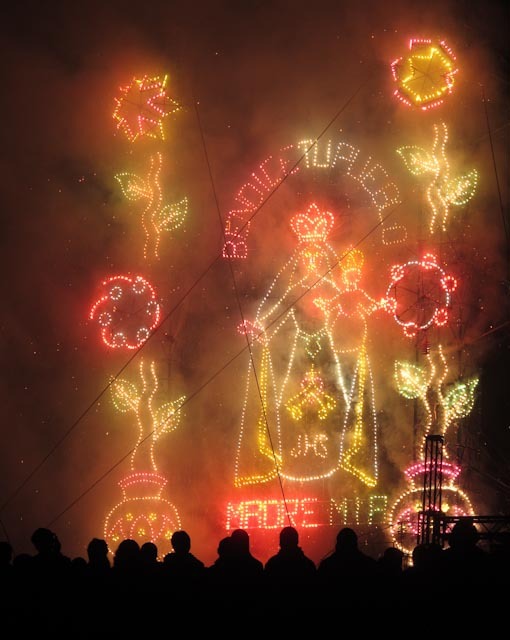 Fireworks are an important part of Mexican religious festivals, many of which honor patron saints. Each village and state, as well as the entire country, has its own patron saint, and every saint deserves to be honored with fireworks! Revelers set off cohetes three or four days before the fiesta date, on the official fiesta day (or days), and several days after. In reality, maybe all these cohetes have nothing to do with the celebration, but are just on hand and need to be lit! Perhaps things are just a little too quiet. There seems to be a special fondness for the middle of the night or very early morning. People also fire off a few cohetes on their own birthdays. Whatever the reason, loud explosions that could be right next door are almost a part of everyday life. And these are no puny cherry bombs or the M80’s of our youth. These babies pack some punch! A friend and I were wondering if the fireworks were made here in Mexico or if they were made in China, as most US fireworks are. 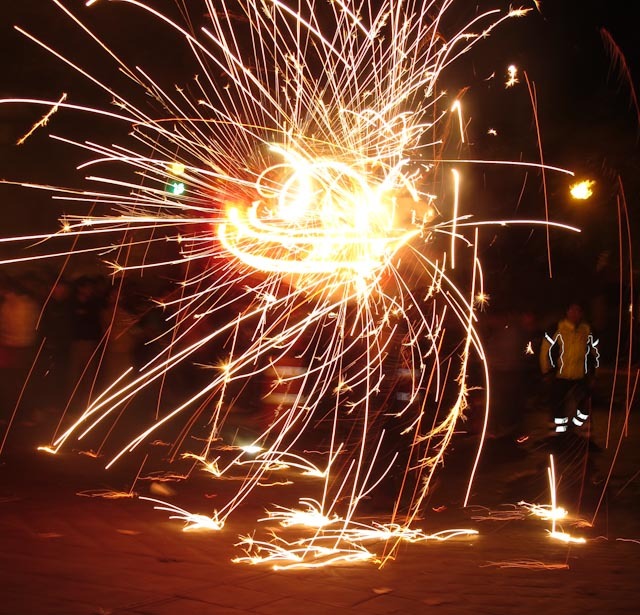 A little research showed that the city of Tultepec, which is close to Mexico City, is the self-proclaimed “Pyrotechnics Capital” of Mexico. Firework production there provides a living for more than 6000 residents. 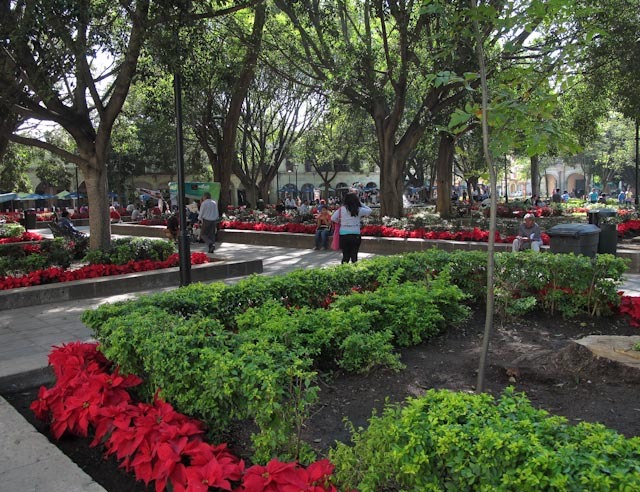 Most production in Tultepec and other locations is in family owned workshops and small factories. 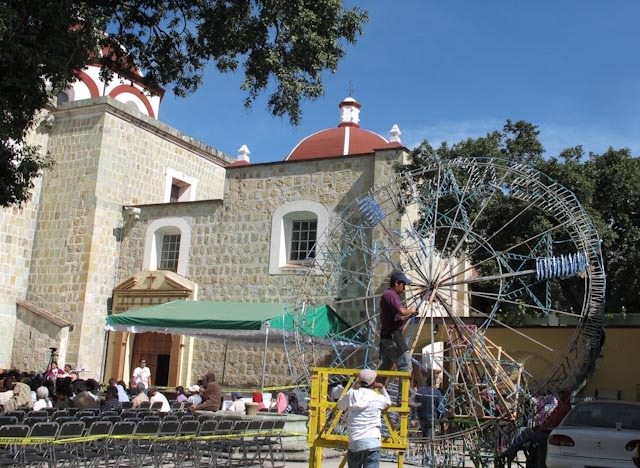 According to several local people, in Oaxaca many fireworks are made at homes in rural villages, and this probably holds true around all of Mexico. Glorious end for UPS paper! OOhhs and AAhhs are inside! Castillos are the most exciting of all fireworks, and they are partly assembled in the public place where they will be lit. So my next birthday wish? A castillo would be super, but I’ll settle for a cohete! Whirling, whistling, popping, and throwing sparks in every direction…it’s a Castillo, the most spectacular of Mexican fireworks! 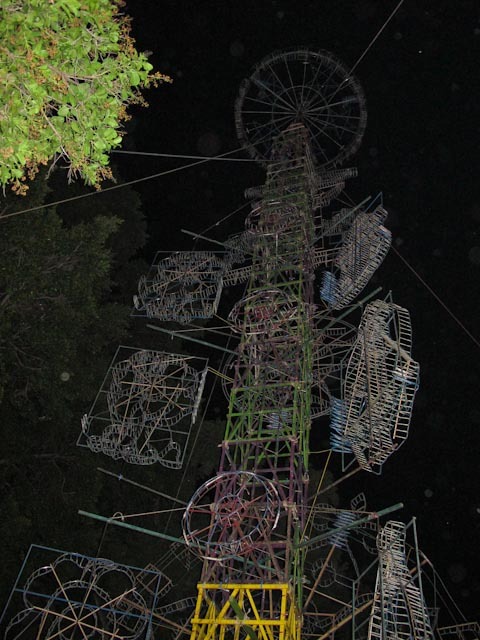 During December’s Fiesta de la Virgen de Guadalupe in Oaxaca, we experienced our first Castillo, which is a wooden tower 30-70 feet high, covered with handmade fireworks laid out in precise designs, raised and held in place by ropes. Before the Castillo fuses are lit, young men take turns dancing around holding a torito (little bull). 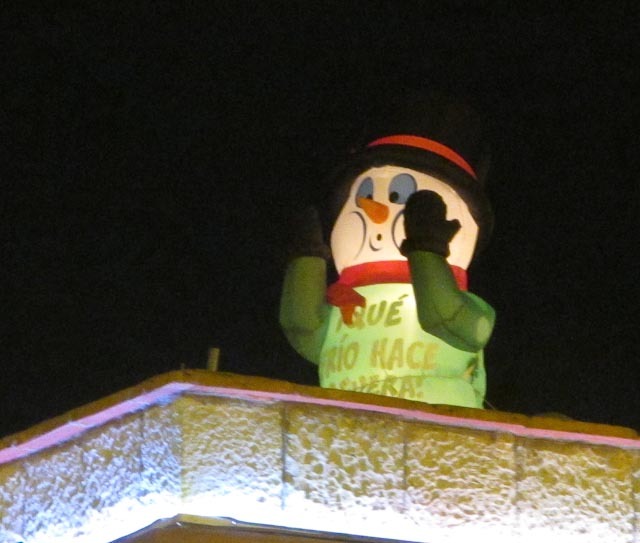 The torito is made of paper maché and has a wooden framework on top that is covered with, guess what…fireworks! He dips and twirls, intentionally spraying the crowd with sparks. They love it! Yes, there is a man inside the sparks! 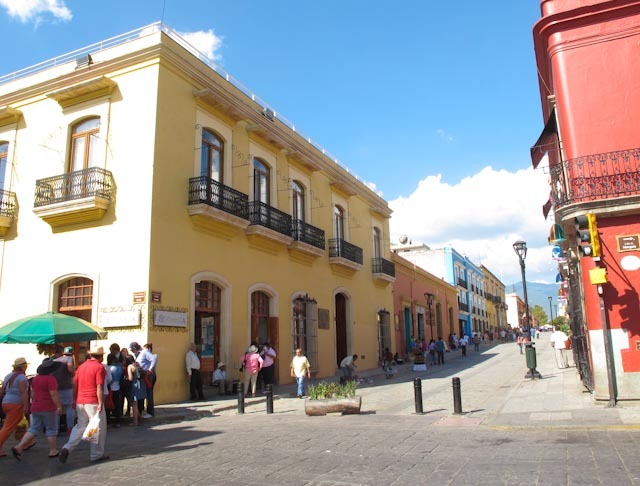 A band plays, excitement builds as the crowd gathers in front of the Castillo. A match is lit. Wheels of color twirl faster and faster, and sparks fly into the air. As the fire climbs higher, brilliant pictures of animals, saints, stars, flowers, or whatever popped into the imagination of the creator are painted with fireworks. More spinners whirl, finally igniting the topmost wheel, which spins off into the sky like a flying saucer. It’s magical! To Fly off to the Heavens!